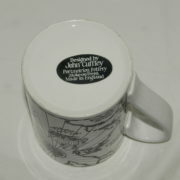 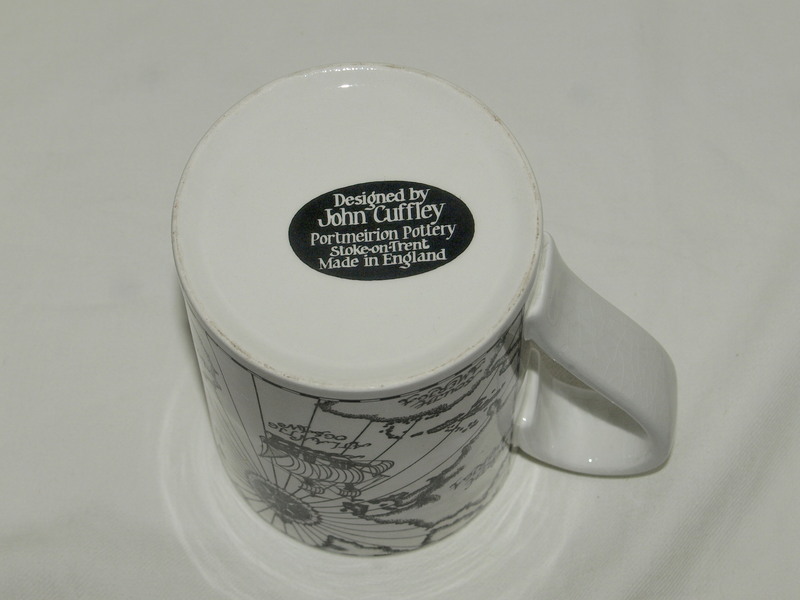 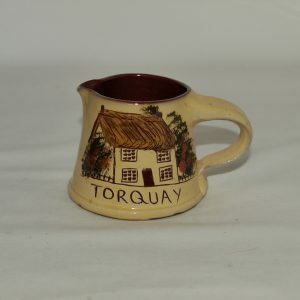 Just under 4.5 inch high Portmeirion tankard designed by John Cuffley to commemorate 350th anniversary of the Pilgrim Fathers first permanent colony in New England. 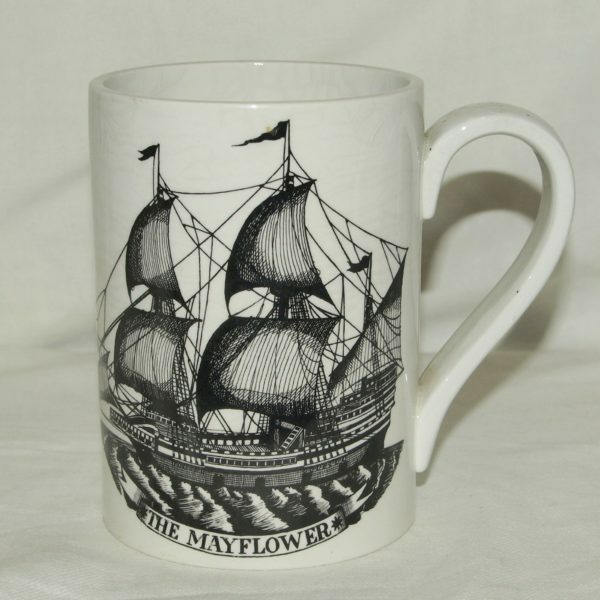 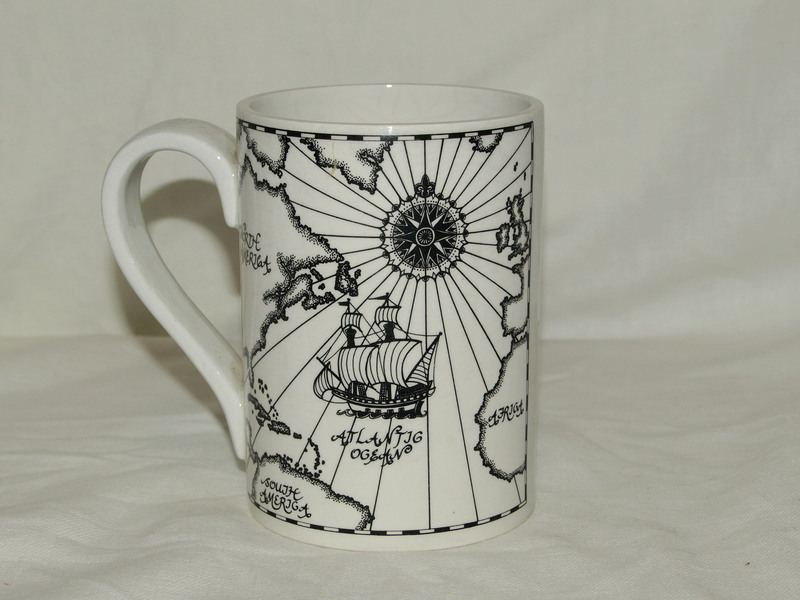 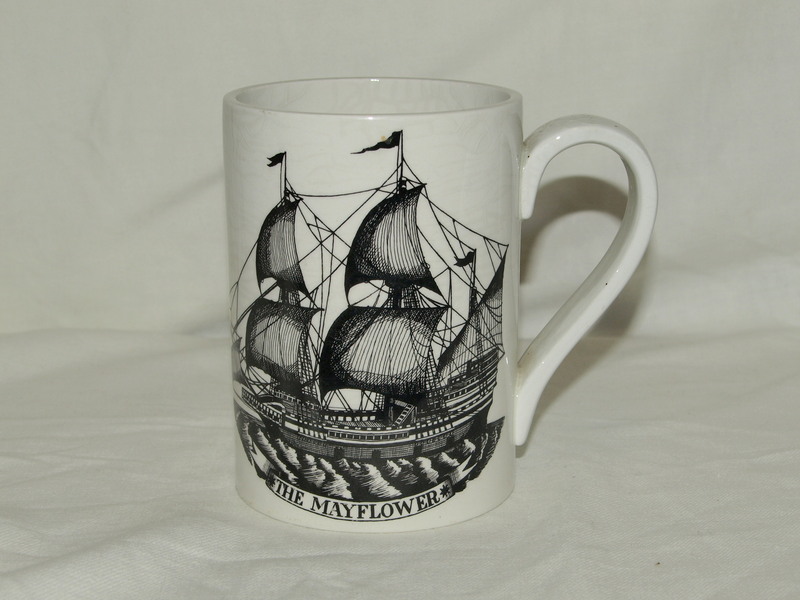 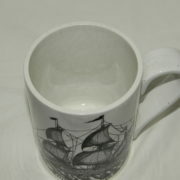 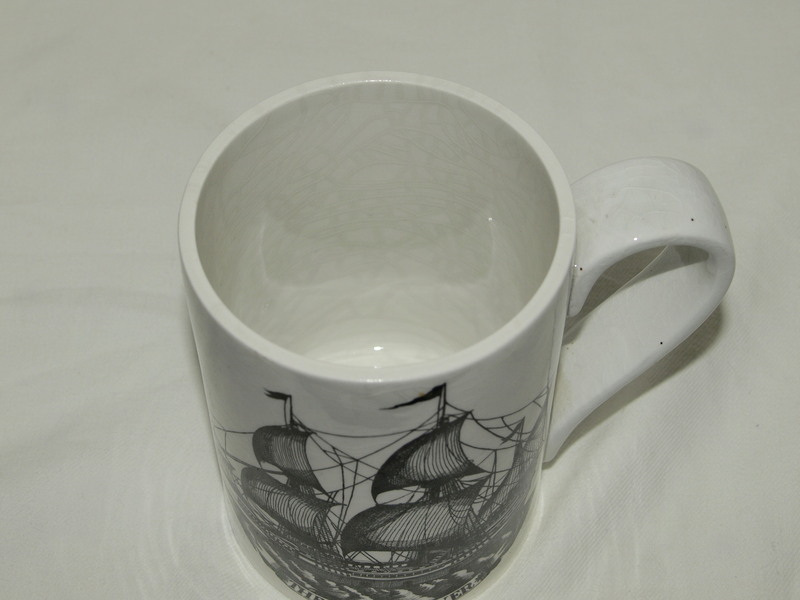 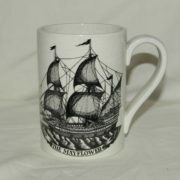 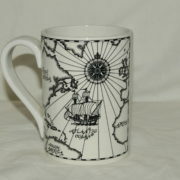 The front of the tankard has an image of The Mayflower in full sail, and the back of the tankard has The Mayflower sailing across an antiquarian map to North America. 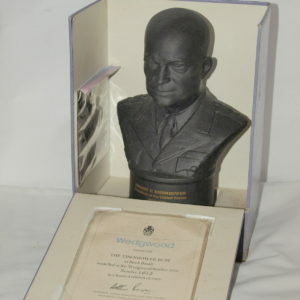 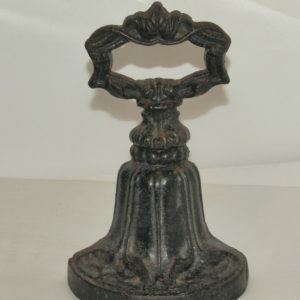 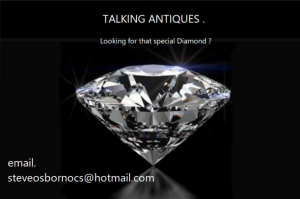 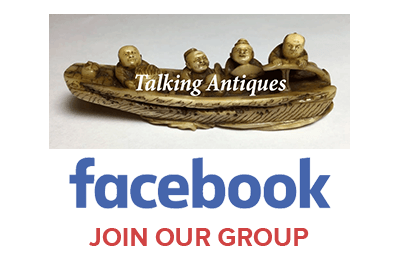 It is in good condition, with no chips or cracks, but has some light crazing inside.